"You are the proud owner of a VERY bruised foot! Congratulations, it's not broken!" Those were the happiest words I heard today! When you have 4 kids, you really don't have time for a broken anything! Last summer I broke my elbow.......that was horrible, because it was in the middle of summer and I had all 4 kids home with me everyday. My oldest stepped up and took care of the 2 girls for me as I only could use 1 hand for quite a while. That boy amazes me with how much he helps out and thoroughly enjoys his siblings. Needless to say, I'm ecstatic that my foot is not broken! 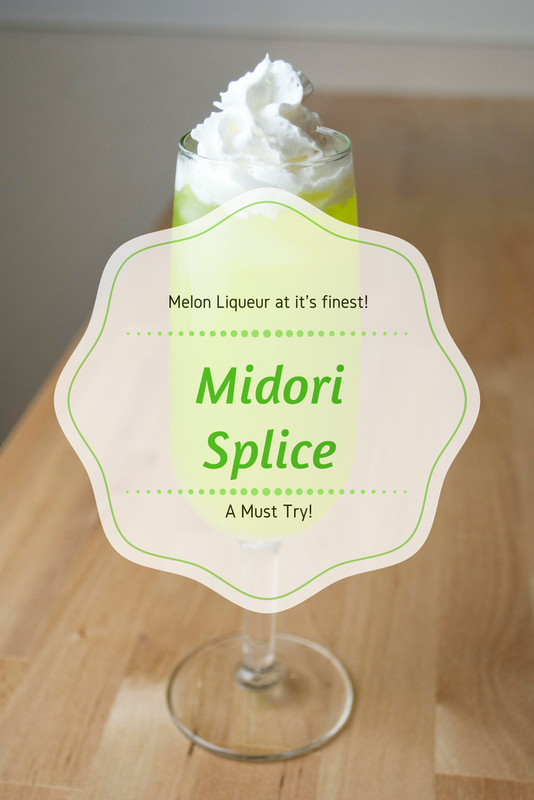 I got this cocktail, once again, from the Midori website. Their recipe called for cream to be floated on top, but I figured that whipped cream would be more fun to put on top, so I went with it instead. This cocktail reminds me of the Ninja Turtle cocktail I made a while back. The difference between the two is the amount of pineapple juice and the cream/whipped cream on top (and now looking back at the Ninja Turtle I just realized that I rated it the same as tonight's cocktail). So I'm going to go out on a limb and say, "If you liked the Ninja Turtle, you'll like the Midori Splice". In a champagne glass, or any medium sized glass, fill it 1/2 way full with crushed ice. Add your Midori, rum and pineapple juice and stir them up well. Top it off with whipped cream and enjoy! Thank you Midori for yet another yummy cocktail to try!